No drip, all natural watermelon Popsicles! | ARTZCOOL'S BLOG! No drip, all natural watermelon Popsicles! 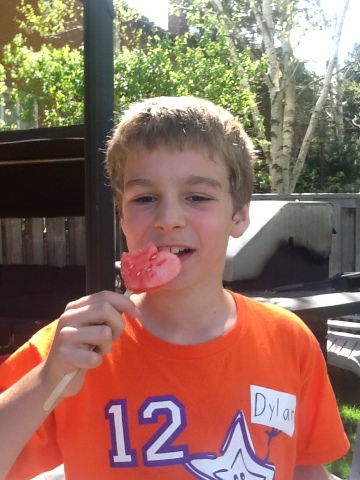 Dylan and I were having a snack of watermelon, wishing it was a little cooler when I thought of an idea I saw where you can freeze watermelon. 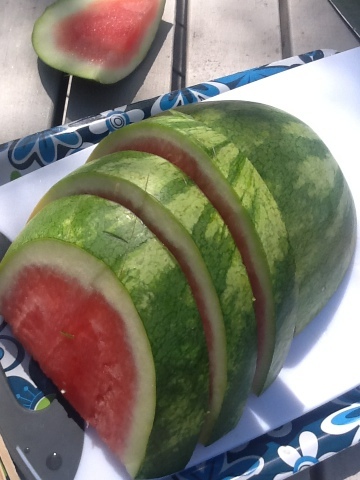 We have made frozen bananas on sticks before, but why not frozen watermelon? 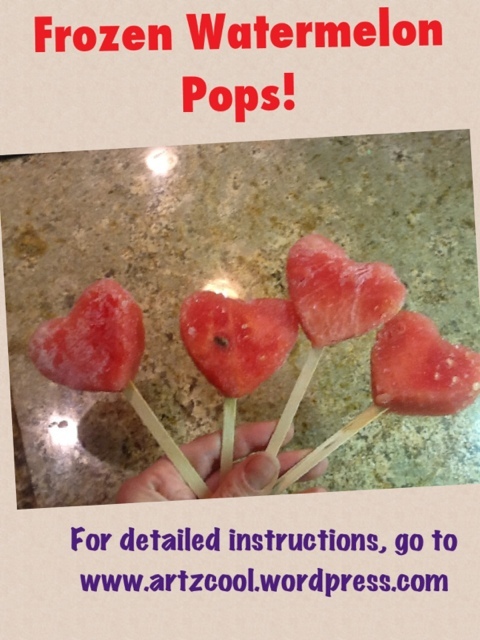 This worked out well, it was a healthy Popsicle with no sugar, and something for the kids to do! Then, we used a cookie cutter to cut out a heart shape. 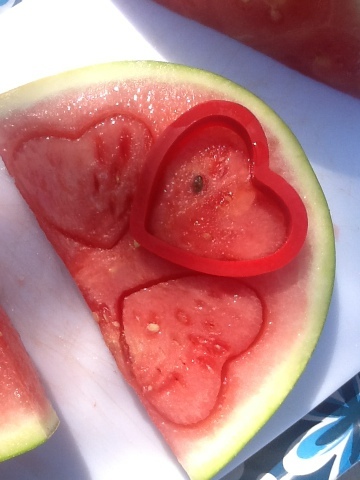 Because the watermelon was thicker than the cookie cutter, we had to use a butter knife to cut around each heart. But if you had the metal kind of cookie cutters, this would be really easy for the kids to do.